You are here: Home / CMS / Does Drupal Blogging have a future? 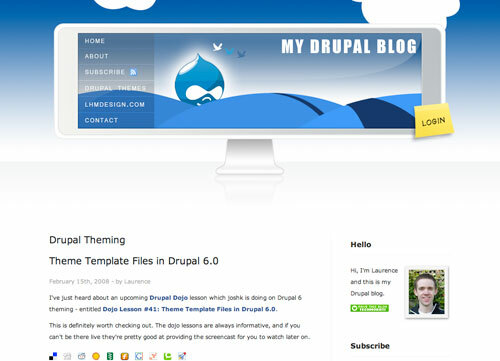 Does Drupal Blogging have a future? After having conquered over 2 percent of the web, Drupal has definitely become a leading web development platform used by individuals looking for highly dynamic and visually appealing websites. Although Drupal has become the first choice of website developers, it’s still not the first CMS that comes to our mind when we think about setting up a blog. Well, with the availability of other specialized CMSs such as WordPress, it has become quite challenging for Drupal to attain a unique niche of its own. In this blog, I’ll be talking about the future of Drupal as a blogging platform. Being a bit complex to handle, Drupal has the right potential of exceeding any blogger’s expectations. With availability of the right features, Drupal makes it convenient to create a blogging website that works wonders for people who want to operate a personal or corporate blog. No matter what the reason is behind blogging, Drupal is indeed a good choice when it comes down to publishing content over the web. A good majority of Drupal web developers participated in Drupal CXO event that was held in Vienna. One of the most talked about topics in this event was Drupal’s marketing approach. If your surf the internet for details of this event, you’ll get to know that the participants discussed about the future of Drupal blogging and debated on the importance of growing the Drupal community for keeping the software alive for many more years to come. It was also being discussed that in order to sustain the popularity of Drupal CMS, it is highly necessary to reach out to potential customers outside the Drupal customer base. 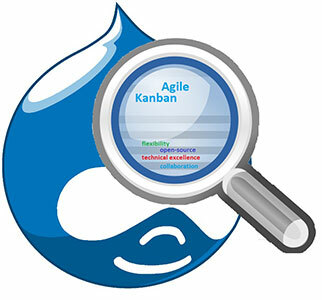 Drupal web development projects are mainly based on the agile web development technology. The process of drafting project wireframes and functional specification documents (FSDs) has played a crucial role in the success of Drupal-based website development projects. The transparency quotient of Drupal CMS makes it a good choice for bloggers involved in writing and publishing content on different topics of interest. Yet another major challenge that’s been faced by Drupal Community is finding the right professionals who are skilled enough in developing blogging websites that are rich in features and functionalities necessary for meeting the customized expectations of the bloggers and readers. It has been found that people who want to operate a blog, often find it hard to track the right Drupal developers who can accomplish the job. Hence, there’s an urgent need for encouraging web developers to choose Drupal web development as their career. You can easily play your little role in strengthening the Drupal community by suggesting schools and universities to conduct lectures and seminars on Drupal web development. This way, all the young future Drupal developers will get a new route towards portraying their passion for developing websites using Drupal CMS. Nowadays, a huge population of business enterprises including the startups, small, medium as well as large-scale organizations are operating blogs powered by Drupal CMS. You’ll be excited to know that nearly hundreds of websites belonging to a single company are being run on Drupal. 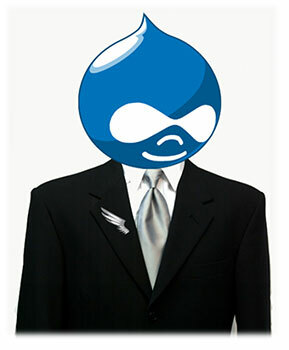 Thanks to the extensive scalability that has made Drupal a leader in the world of Content Management Systems. So, the answer to question proposed in the title of this post is a “Yes”. Drupal Blogging will continue to hold its reputation in the world of online blogging. As a contemporary Content Management System, Drupal will continue to surprise bloggers residing in different parts of the world. Thanks for taking out time to read my blog. Hope you’d have enjoyed it and gathered useful insights. Please do share your feedback/suggestions using the comments box below. Edword Jones is a web developer by profession and a writer by hobby and works for OSSMedia Ltd. Company. He loves sharing information regarding wordpress, Magento, Drupal and Joomla development tips & tricks. If you are looking for Drupal Programmer then just get in touch with him.